ny other. Its startling to see a 2D game be as visually jaw-dropping as it is, at a time where games are so often judged by graphical horsepower, it’s audio-visual uniqueness had no small impact on my opinion of this game. Its narrative is more akin to a whirlwind of breadcrumbs than it is a simple tale. Initially obscured, you play as ‘Red’, a singer who has had her voice and much more stolen from her by the Camerata, a shadowy group (ironically wearing white). Cloudbank, the futuristic city in which the game takes place, is being overrun by the ‘Process’, and Red has no problem taking it on with the Transistor at her side. Your companion. 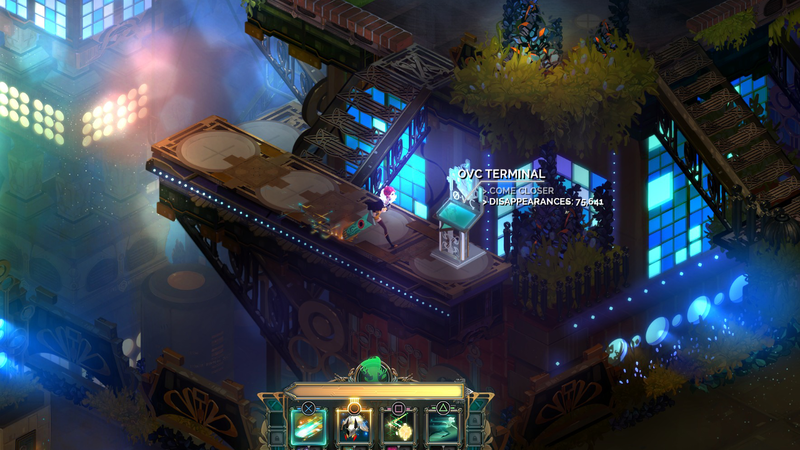 The Transistor is a talking, glowing greatsword more akin to a printed circuit board. The Transistor’s narration is a significant element, as he adds a great deal of flavour and character to the world, whether ribbing about the Process, or reassuring Red that they will find a happy end. Like every facet of this game, you will learn a lot more about the Transistor, his place within the world and your relationship with him as the game progresses. Perhaps unsurprisingly, by the conclusion of the game, I was more attached to the Transistor than to Red. I played the game on the PS4, which made use of the DualShock’s lightbar, by flashing and changing colour in synchronisation with the Transistor in game. I also opted to use the controller’s internal speaker to project the Transistor’s voice; as Red holds the talking Transistor in her hands, I too had his voice in my own hands, this greatly added to my immersion into the game. These are small touches, but they serve to illustrate the level of detail and care that has been put into all of the individual elements of Transistor. A turn based game, where only you can take turns. 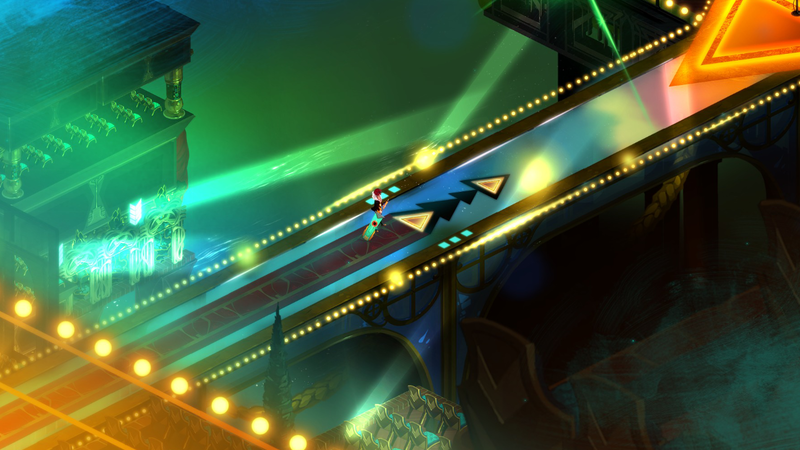 The combat of the game is a hybrid of real-time action and turn-based strategy, however Transistor is a game where you are the only one who gets to take turns. Using the Transistor, Red can trigger ‘Turn()’ mode, which allows attacks and movement to be queued in frozen time, then executed in real time. It is a good thing that only the player can enter Turn() mode, because the combat can be quite difficult if you’re not paying attention. You can equip four active functions at any given time, there are sixteen functions, each with their own Memory usage cost. Functions are abilities, such as Help(), which calls upon the aid of a friendly Process dog, called Luna. Alternatively they can be equipped passively, when passive Help() offers a chance to become a ‘SuperUser’, allowing for a brutal one-hit-kill attack. Functions can also be equipped as upgrades to other functions, Help() tends to decrease the likelihood of Cells appearing from enemies destroyed by the Function Help() is equipped to (Cells spawn additional enemies). Each Function embodies a character, a citizen of Cloudbank, by combining these Functions in different ways, equipping them in different slots, you learn more about the intriguing residents of Cloudbank. The Function system rewards creativity. Once I had a handle on the basic combat flow, I was able to experiment with the seemingly endless combinations of Functions and the combat evolved into how to best control the enemies and manage my Turn() cooldown. Rather than how to scrape through, which was the case in the early game. 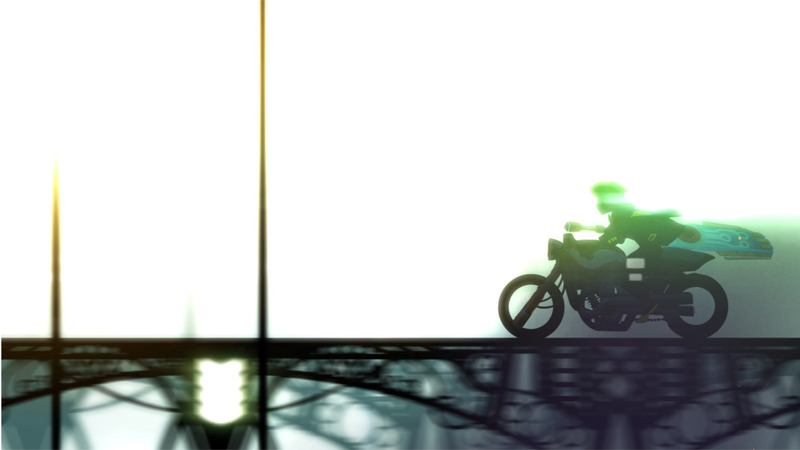 Difficulty can be augmented by equipping Limiters; difficulty modifiers and the game rolls straight into a new game plus mode upon completion. If your health reaches zero – which it did for me frequently early on, you continue to fight, but you temporarily lose one of your Functions. This appears quite harsh at first, but it forced me to pay attention to combat a lot more than if were able to simply brute-force my way through combat scenarios and ultimately, I felt the game experience was enhanced by the looming threat this penalty. Transistor truly is a beautiful game. Transistor artfully melds its music, visuals and writing into a magical experience, quite unlike anything I have encountered before. The intensity of this experience is further enhanced, by the deep and precise combat systems, which are extremely rewarding to master. 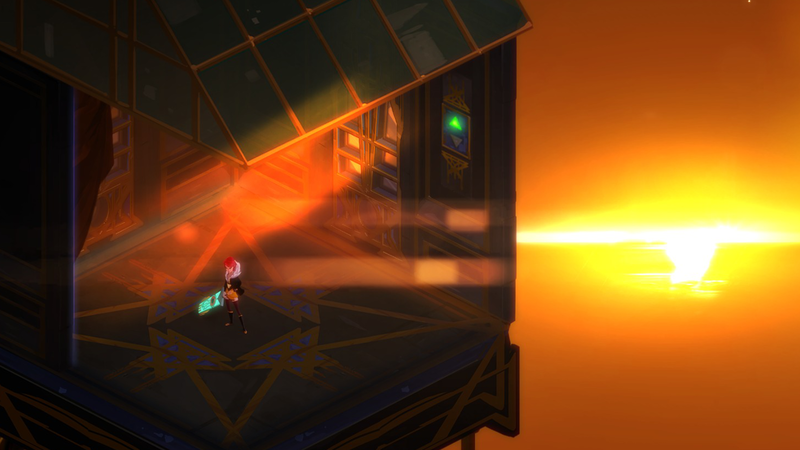 A heart-stirring jaunt, from beginning to end - Transistor only draws you deeper, into obscured world you fight to save.